Los Angeles, CA — Warr Acres is proud to announce the release of their fourth studio album titled Future, which releases August 28th on Dream Records. The Oklahoma powerhouse features a mix of pop, electronic and worship which shows the immense growth of the band. The group will also be performing their CD release concert at Victory Church in Oklahoma City on August 26th and for fans that would like to attend, they can also pick up their CD at the show. Warr Acres is an innovative pop / worship group based out of Victory Church in Oklahoma City, OK. The group continues to hone in on their somewhat eclectic sound that incorporates components of pop, electronic, worship and rock. Their ultimate mission is to share the Gospel and build up the Church with intentional, heartfelt, Scripture-inspired lyrics, presented with an attractive, fresh sound and an engaging live worship experience. 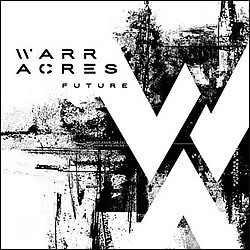 Warr Acres’ latest album Future officially releases on August 28th. Building off the success of their previous three albums, this Dream Records group is sure to continue to garner attention as they top the charts with their upcoming album release. While a debut radio single has yet to be determined, songs like “The Anchor (Found In You)” and ”Finding Freedom” are strong steps forward on this new project. While Warr Acres represents the worship ministry of Victory Church, lead vocalists for this album include the familiar voices of Chris Crow and Lael Ewing from past albums, as well as offerings from Oscar Lemuel and Aubree Huffman, all of whom are worship leaders on a weekly basis at their home church. Their passion for Christ, reaching people beyond the four walls of the church and bringing hope to the hurting and hopeless are undeniable in every song. We hope you enjoy this highly anticipated fourth album from Warr Acres. Future is sure to inspire perseverance in the face of adversity and an unwavering hope through uncertain times.